New Feature! Players can now purchase Cartel Coins through the “Add Coins” interface within the in-game Cartel Market: * Players must enable this feature for their account before it can be accessed. For additional details, please refer to this News Article. All major credit and debit cards are supported payment methods for in-game Cartel Coin purchases. PayPal and other payment methods are not supported at this time. Subscribers receive a 50% discount on the first purchase made using the in-game feature. The offer does not apply to Cartel Coin purchases made using the website. 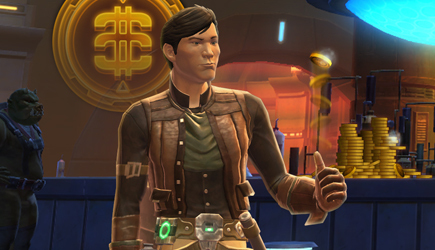 Purchase Cartel Coins In-Game – Now Live! To celebrate this launch, Subscribers save 50% on their first in-game purchase of Cartel Coins through November 30th! Now is the time to check out all of our latest additions to the Cartel Market, like the newly added Treek Ewok Companion and other great items like the new Varactyl Mount!